Property company Beech Grove Limited, whose directors are father and son Ayub and Aamir Bhailok, purchased the 18-hole course and clubhouse from a firm of administrators for £750,000. But it remains unclear if the club will re-open to golfers or whether the site will be used for other purposes. Fishwick Hall, which opened in 1912, hit a bunker in November when it was revealed it was losing more than £10,000 a month. Directors admitted the club was unable to continue trading and called in administrators. It was closed down on November 22 and its 12 employees were made redundant. Since then the administrators have auctioned off the clubhouse furniture and greenkeeping equipment. A report to creditors by administrators Leonard Curtis of Bamber Bridge has revealed the spiral of losses which led to the club becoming insolvent. Initial attempts to sell it as a going concern failed to attract a single offer. 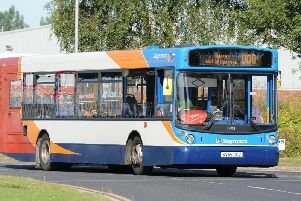 But a marketing campaign prompted six bids, with the Beech Grove offer of £750,000 the highest. The club comes with 20 acres of freehold land adjacent to the clubhouse. The course’s remaining 85 acres were rented from Preston City Council for £28,500 a year. Accounts show Fishwick Hall made a profit of £16,129 in 2015/16 and £8,855 in 2016/17. But in the last financial year profit turned to a £25,428 loss. At its height Fishwick Hall membership was around 400, but by November 2018 it had more than halved to just 191. Numbers fell dramatically after 2012 when the Guild Wheel cycle path was opened alongside the course, leading to the vandalism of greens. Severe flooding in 2013 left part of the course unusable for two months, leading to more members quitting. So last July a number of members injected £82,000 to keep the club afloat, but it ultimately proved to be in vain.